2. Tuning Fork(A, B-flat, C, E-flat). 3. Rotatable Key-Circle(It is a useful tool for writing a score that is key transposing). 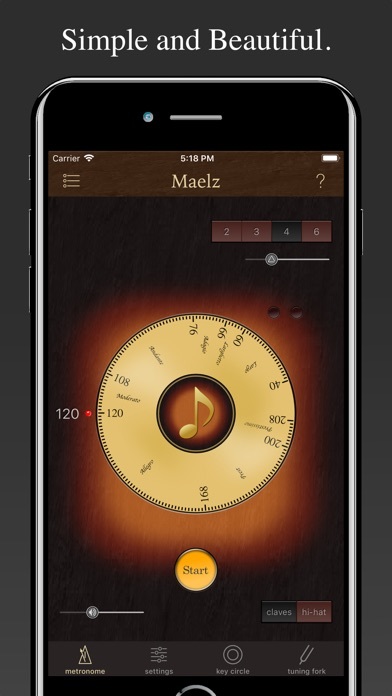 Maelz Pro is a simple and beautiful metronome.